Hunters and fishers, take note: the Ika Long Sleeve Half Zip is the premium top you need, to keep the cold out for your long day hunting excursions. 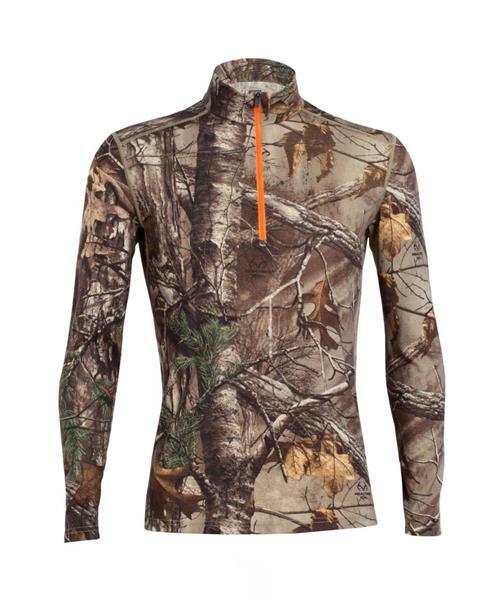 Made from Icebreaker's 200gm midweight merino, this long sleeve keeps you warm and naturally odor-free—and hidden in the Real Tree XTRA® and MAX-1® camouflage patterns. They've also created off-shoulder seams to prevent pack rub for heavy gear days. Don't worry about comfort or being seen - instead you'll be focused on the game. .